At Audi Lynbrook, we are eager to help you, whether it's a new vehicle, a quality preowned, or outstanding service, we'll make your automotive experience the best it can be. 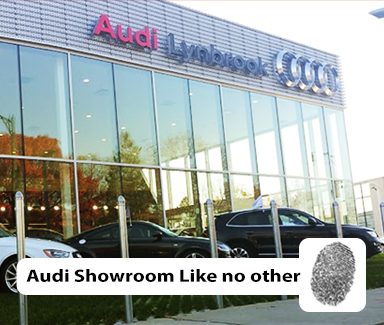 Let us show you a few great reasons to choose Audi Lynbrook. Established nearly 30 years ago, Le Dîner en Blanc de Paris has evolved over the years, becoming a "très chic" tradition that now attracts over 10,000 people annually in the most prestigious sites, with 15,000 guests attending the 25th anniversary in 2013. Long Island proudly hosted its first Dîner en Blanc this year, and we at Audi Lynbrook are proud and glad to be part of the event! The Top 10 Reasons You Should Purchase From Audi Lynbrook! Buying a car at Audi Lynbrook is only the start of our relationship. We feature "How to Videos" right on our website to make it easy for any customer to take full advantage of the amazing features of their Audi. In addition to our "How to Videos" we offer Technology Tuesday for those that desire a more hands on approach to learning more about their Audi. It doesn't matter when you purchased your Audi we are always here to support you.